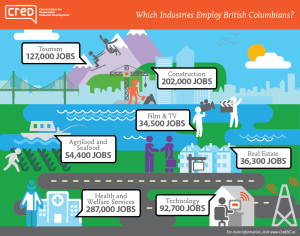 Which Industries Employ British Columbians? 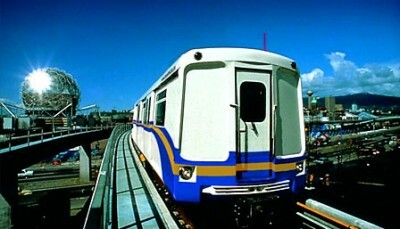 BC is made up of thousands of small businesses, mainly in service-based sectors. 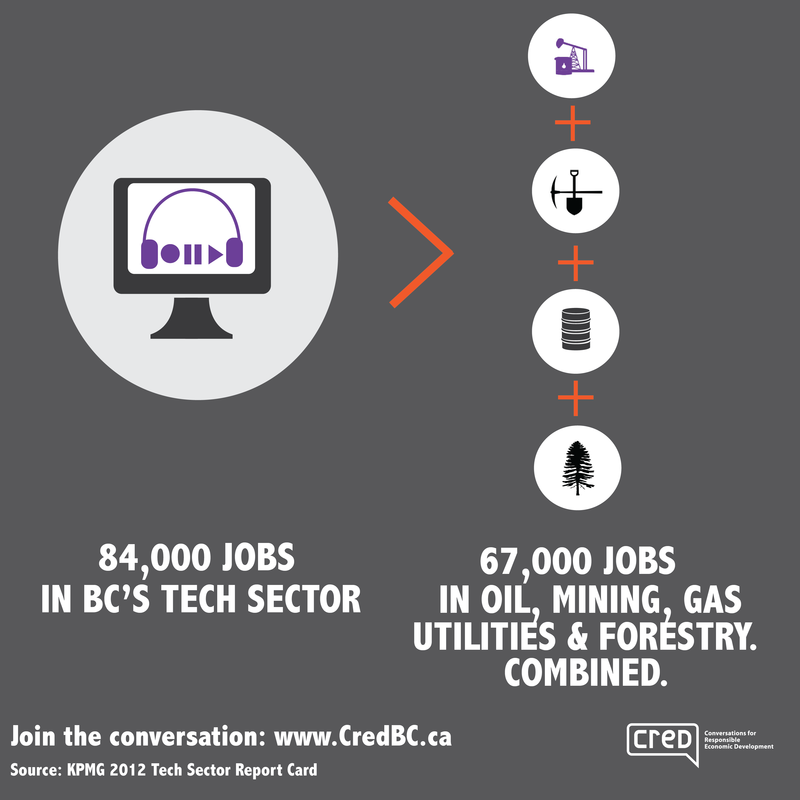 We may think of BC as a resource-based province, but only 1.2% of British Columbians work in the oil and gas sector. What About the National Economy – Where Does Canada’s Wealth Come From? Real estate is by far Canada’s largest sector overall, contributing a full 13% of national GDP. Manufacturing and retail and wholesale trade are also significant, each bringing in 11% of GDP. Although key industries vary across regions, some clear national trends are also evident. Would the Kinder Morgan Oil Pipeline Create Jobs? According to Kinder Morgan, building the pipeline would create 50 permanent jobs in BC and 40 permanent jobs in Alberta. It’s uncertain how many temporary jobs would be created, and if they would benefit otherwise unemployed workers. The transit plebiscite is launching in a week, and whether or not you think a plebiscite is useful, it’s brought up much needed conversations about what Greater Vancouver’s transit system looks like now and should look like in the future. 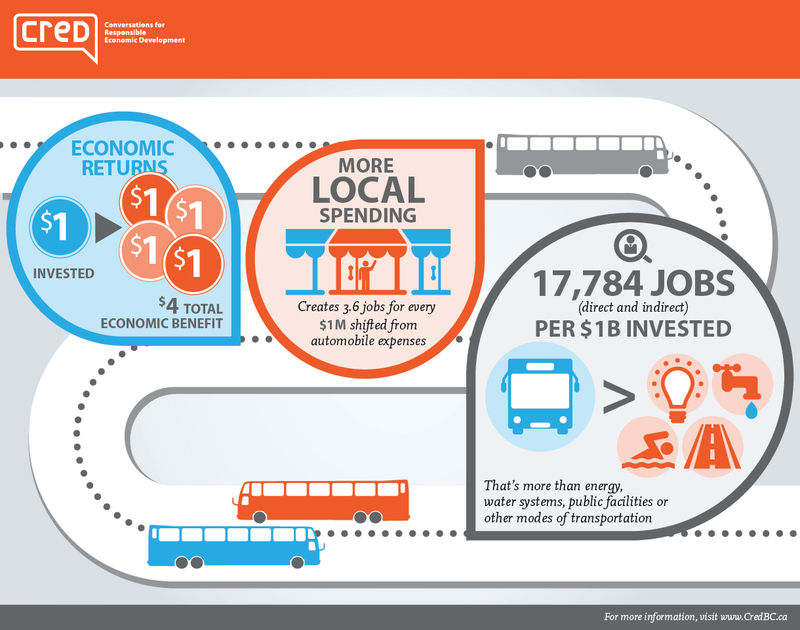 It’s a fact that our population is growing and our transit system needs to grow, but let’s look at the economic impact that investment in transit could have in Metro Vancouver. In addition to job creation, transit investment brings us cost savings through the alleviation of congestion, and as we’ve heard before, ‘time is money’. Congestion is the culprit of slower traffic and increased freight expenses, and the cost of congestion is estimated at approximately $500 million per year by The Mayors’ Council. In addition to this, a recent?study?by the C.D. Howe Institute and Clean Energy Canada looked at other costs of congestion, the hidden costs such as lost face-to-face meetings from choosing not to travel because of gridlock traffic. Maybe you decided not to go out for dinner or to the hockey game because the traffic was way too busy. Or maybe you decided not to have that business meeting because there was no way to get there in time. The C.D. Howe report estimates that these hidden costs are between $500 million and $1.2 billion per year for the Metro Vancouver area. ?This is separate from the $500 million in visible losses calculated by the Mayors’ Council. ?C.D. Howe reports that these hidden costs include workers not taking jobs that are best fit for them due to traffic congestion, a smaller pool of job candidates available to businesses, and lost opportunities for face-to-face learning. If it’s a responsible and profitable economy that we’re moving towards, building a better transit infrastructure is an essential component of that vision. 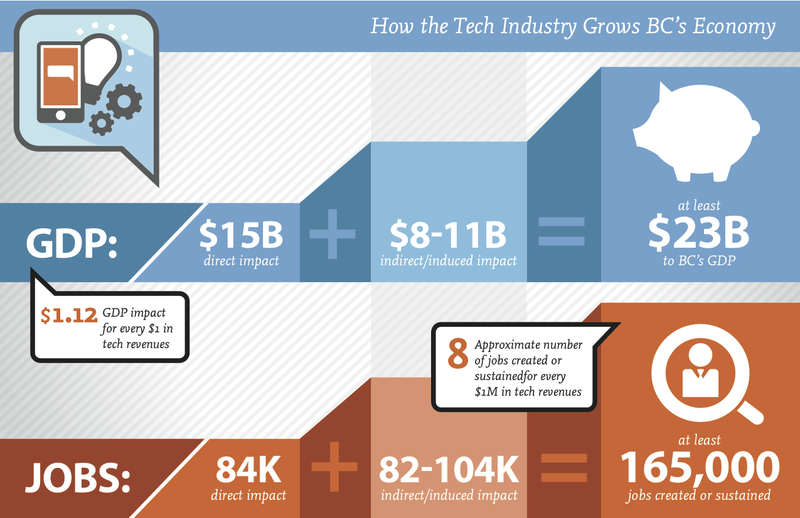 BC’s tech sector is growing at double the rate of the overall provincial economy; however, only 11% of Canada’s high tech jobs are in BC, compared to 41% in Ontario, and employment growth has been relatively flat since 2009. 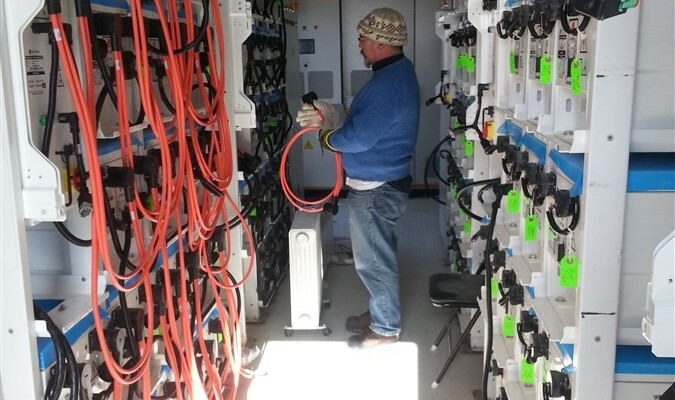 More strategic investments?are needed to help BC achieve its potential.